Simple physics lesson to all the “launch angle” experts. Variable 1 + Variable 2 = Result. If you’re going to chat about launch angles like you’re a physics expert, next time take into account the pitch type; Variable 1, as it determines your swing plane, Variable 2. Otherwise, you’re providing misinformation, and destroying the swings of young players. With this in mind, you’ll have to reconsider any hitting methods based on launch angles. Simple physics lesson to all the "launch angle" experts. Variable 1 + Variable 2 = Result If you're going to chat about launch angles like you're a physics expert, next time take into account the pitch type. Otherwise, you're providing misinformation, and destroying the swings of young players. 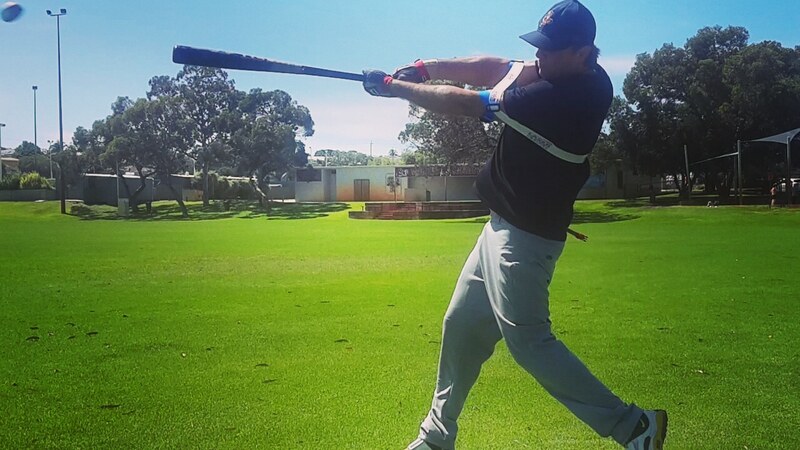 With this in mind, you'll have to reconsider any hitting methods based on launch angles. Still don't get it? Watch this video to understand more. 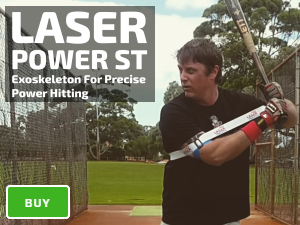 Clinton Balgera, inventor of Exoprecise Technology, including the Laser Strap thehittingproject.com; shares expert tips for success against dominant fastballs. The same advice provided to our first superstar customer, Eric Thames who bamboozled the baseball world in April 2017; crushing "Laser Beam" home runs against, +95 mph "up-and-inside." Apparently, it's impossible to hit this pitch type; unless you know how to use our Laser Strap. The Money Drill: Laser Beam. Level: Advanced. 1) Bat Type: Weighted training bat. 2) Height: Belt-to-chest. 3) Location: Middle-Inside to inside-corner. 4) Contact Area: deeper. 5) Grip: Shortening grip on the handle. 6) Stance: Spread out, knees pinching inward. 7) Weight Distribution: Inside and front balls of feet. 8) Back Arm: Relaxed and connected to the torso. 9) Front Arm: Resting on back shoulder. 10) Load: Small in turn of the front knee. 11) Swing Circumference: Small. 12) Follow Through: whipping the bat around your torso. 13) Swing Angle: Flatter Buy... https://my.thehittingproject.com/trainers/bat-speed/shop-laser-strap-bat-speed-trainer/ Eric Thames Case Study... https://thehittingproject.com/eric-thames-case-study-money-drill/ Program Download [PDF]... https://thehittingproject.com/wp-content/uploads/2017/09/laser-strap-user-manual.pdf - Thanks to Jack Smalpage for participating in the video. What most everybody else in the hitting world over-complicates (the effect). We focus on the cause to make things simple, that’s why we’ve got the patent on the best baseball training aid ever invented. The problem is too many “so called” experts go on and on about the effects without knowing anything about the cause. And this is dangerous, as they’ll end up ruining young players swings as the try to uppercut a power fastball, and missing by a mile! Here’s a clue, the majority of MLB players sit and wait for the pitcher to make a mistake. The majority of home runs are hit off “hanging sliders” higher in the zone. 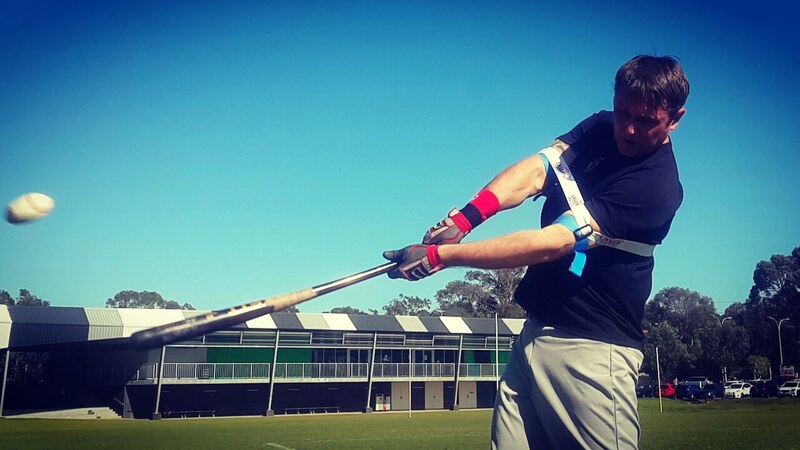 Guess what naturally gives you optimal launch angle to hit the ball higher over the fence? Extended contact with a ball on a downward trajectory! Your natural reaction is to come up with your swing to a ball that is coming down to you. If you don’t understand this and you’re talking about “Angles and Velocity” it’s not a good look. Regarding hitting information, we recommend as soon as someone starts talking about “launch angles,” just nod politely, say thanks for the info and run!!!!!!! We like to focus on the primary cause, not the effects. As a brand, if kept quiet about the absurdity of these statistics we would make more money. One common reason customers purchase our products is to help to fix problems caused by over-complication and one-dimensional hitting techniques; therefore the more these stats become familiar; the more players struggle and need our help and the more money we make. However, we have a social conscience and a responsibility to help parents, players, and coaches. All of the following “buzz” terms are the effect of correct core mechanics (the cause). When you listen to people who over-complicate the effect, hitting gets harder. Focusing on the top level category of contact depth; things become a lot easier. We are big on action and getting results. Wear our Laser Power Swing Trainer follow our simple instructions and in under 20 minutes you’ll hit powerful lasers. More specifically the drill’s in our 20 Minute Lasers will get the job done. Advanced hitters go here.